Big thanks to Alex Nowrasteh for helping us assemble the relevant facts on this. My friend Anastasia Uglova is raising the final bucks for a musical production of The Ten Commandments in Rwanda. There are only a few days left for her to raise the final dollars. Listen to her pitch and help out if you can. 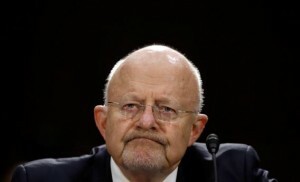 Robert Gates Slams James Clapper? The debate over freedom and security is as old as the republic, and it’s a debate that should always continue, but it’s a debate that needs to take place within the rules, because if a single individual within the system can decide for himself or herself that [his or her] judgment overrides all of that of all the institutions I’ve described, then that’s a formula for chaos and anarchy. Whoops. My bad. He’s talking about Ed Snowden.